Your GDevelop 4 game is based on the HTML5 platform. Native games are not supported for now by GDevelop 5. A few extensions/features are still not supported in GDevelop 5. In the ribbon menu, choose File > Save as…. Click on Save. 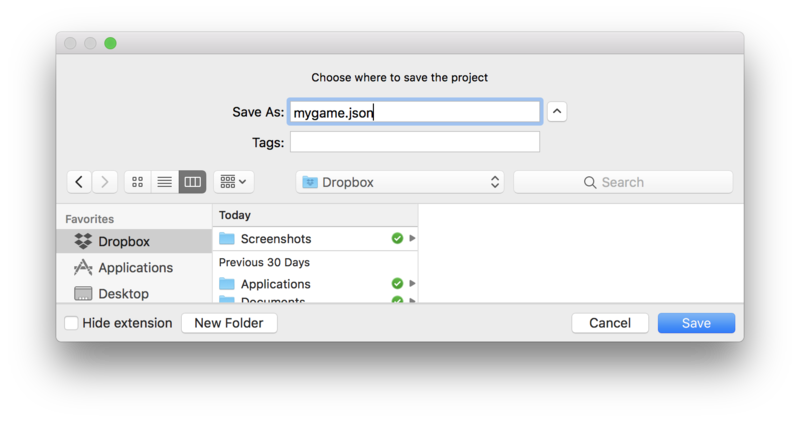 You can now open this file with GDevelop 5. Make sure to check that everything is working before continuing to create your game with GDevelop 5.